On this page you can see all our previewable arrangements for the score of Roberto's Eyes. 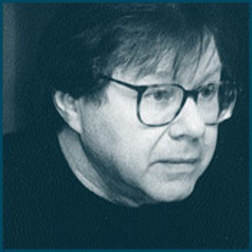 Maury Yeston, Death Takes A Holiday (Musical) is the author of Roberto's Eyes. In order to see a one page preview of Roberto's Eyes, please click on the preview button for the arrangement that you would like to view. Once you have viewed the score, close the pop-up window, and you can choose to view a different arrangement for Roberto's Eyes in order to make a better purchasing decision. The website will always default to show all available sheet music scores available for all instruments (unless you have done a search just for a specific instrument). You can easily alter for which instrument you are viewing the available scores, in the drop down box next to the instruction "change instrument". Have you purchased any of the arrangements of Roberto's Eyes, and would you like to leave a review for one of them? Then please click on the box marked Comments below and you may leave your customer feedback on any of the scores by Maury Yeston, Death Takes A Holiday (Musical) on this song page. You will need to select a nickname and be logged into your Great Scores account, but once that is done, you may leave your comment on the sheet music on this page. Are you can avid user of social media such as Linkedin, Twitter, Facebook or Digg? Then you can share this song page on your appropriate social media account, by simply clicking on the share button. Roberto's Eyes is currently available in 1 arrangement. Furthermore we offer 4 instruments for which this composition has been arranged for.